Between mega storms, fires, droughts and huge solar flares, I think we all can agree that something big is happening. On a perhaps more subtle level, exciting esoteric things are also happening. When you put them together, what do they point to? For me, it’s the shift into 5D. 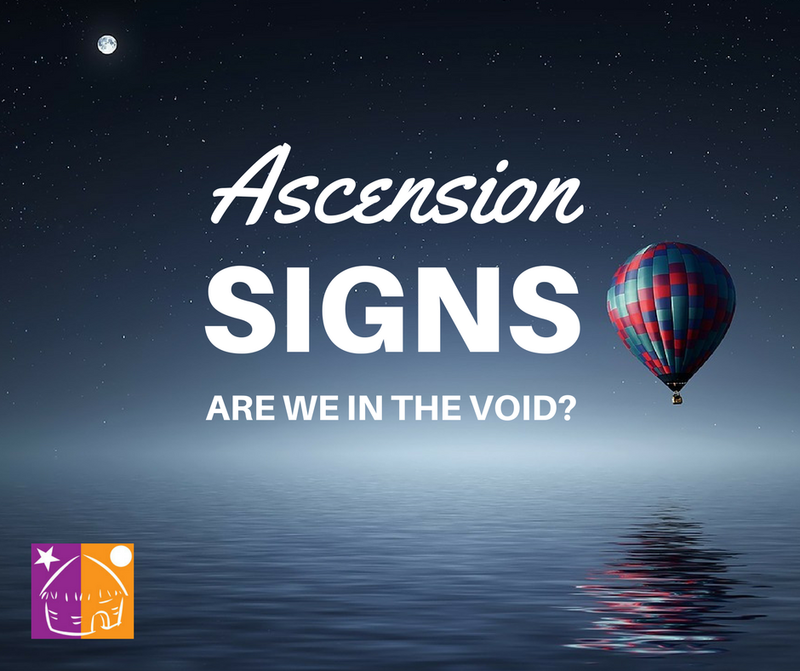 So much has happened on the ascension front recently that I am starting to suspect that timelines and worlds have bifurcated, and that we are now traversing the void between realities. We have been talking for years about raising one’s vibration. Up until now, that vibration was subtle. This year, however, the vibration has really amped up. In his many meditations with the trees, Steve has connected with Gaia on a very deep level, and what he discovered was profound. Her vibration is so high and strong that she feels like a rocket ship, fired up and ready to launch. The trees also are radiating a powerful vibration that resonates with joy. Similarly, we have noticed that our vibration has increased. Many nights as we’re falling asleep our bodies start to vibrate. This subtle, rapid shaking of the body is similar to the feel of a rumbling engine, yet the energy is peaceful. Sometimes my arms or legs will even rise up. The same thing happens when Steve gives me a healing. I’ve been noticing odd little anomalies lately that feel like glitches in the old 3D matrix. Erratic Time: For the past decade, time has felt like it was accelerating. Now, I feel it most when I am sleeping. An hour’s rest feels like a full eight hour night. Sometimes though, time drags, or even feels like it’s moving backwards. The other day I was sure it was suppertime, but I was shocked to see it was only noon. Shifting Objects: Sometimes when I look at an object, it appears to flicker or jump. One second it’s there; then it’s gone, or it’s in another location. Laughter: Steve and I have laughed more in the past month than probably since we were kids. Healthy Weight Loss: I am getting lighter in terms of weight. After struggling to lose for decades, I started losing inches a couple months ago. My diet is primarily raw vegan because that’s what my body now craves. Sunlight: I’ve been craving sun, and have sat out in my yard every sunny day this summer. I am also noticing an increase in the amount of light, as well as the rosy quality of the sunlight. Incommunicado: I haven’t received any work-related email since August. On the surface that may not sound like a big deal, but I have never gone so long without any contact. I’ve tested all my email accounts, and my website, and they are operational. Endings: Every day it seems I hear of unexpected endings, such as people quickly transitioning Home; friends suddenly moving away; relationships abruptly ending, and new age mentors disavowing themselves of their prior teachings. I have also been dreaming of departed people, and of being invisible. In my vivid dreams, I am with people who have transitioned Home and they’re asking me to help the people they left behind. I struggle to be seen and heard. I even comment about feeling invisible. I can walk through people’s houses without them seeing me. All of this feels very real. Whether or not timelines have bifurcated, or are in the process of doing so, one thing is for sure: things are changing rapidly. As I was contemplating what to write here by way of a closing, a car drove past the house with Queen’s wonderful Bohemian Rhapsody blasting. I knew it was a sign for me, for I distinctly heard the following phrase, “Is this the real life? Is this just fantasy?” Indeed. Thank you for this Kim it’s so good to have some affirmation from someone who’s integrity I trust. I am sleeping like a baby and walking around in a dream. I have always been a dreamer now I don’t have to wake up! My instincts are telling me to relax and rest and I am happiest when on my own lost in my thoughts. Making arrangements with friends seems to have become difficult for no apparent reason. When I do spent time with them we have wonderful times together and are discovering places that are quite magical. Seeing all the turbulence in the world it is clear something major is happening. I am grateful that I am safe here in England and pray for those who have lost their homes and loved ones. Yes…..I have been experiencing a lot of what you describe, Kim. Dizziness, vibrations in body, mostly around my neck. Time standing still, somehow, while I get everything done when I would be late for something if the regular time had continued. Being able to see right through my eyelids when my eyes are closed! Still lots of fatigue and sleeping. Having objects be there, then not there, then there again….just like you describe. Working with clients energetically is so much easier and faster now. A lot of my dreams take me to different realities, as well. It sure is an exciting time to be on Earth; I’m very glad I’m here now! Thanks for writing this blog! Funny you should mention seeing through eyelids. I noticed that, too. Have you also noticed that you glow in the dark? I can see my aura some nights. Hi, Kim.I haven’t noticed myself glowing, but, when I turn out the lights to sleep, and close my eyes, I can see bright light in various parts of the bedroom where there is no physical light. The other thing I didn’t mention, that is related, is headaches now – I have rarely had headaches during most of my life. And, yes, good to know there are others with similar experiences! Sorry to hear about the headaches. I’ve been having intense head pain, too. It feels like my skull is being reformed. What fun, hey? When I am at Lake Michigan I see doubles of people near the water with the second figure transparent but still with the same clothes and colors. Like I’m walking around in a Star Trek episide. Cool! Anyone else experiencing this? Wow! That’s very cool. A friend of mine said she visited a beach recently, and all the waves looked pixelated. That’s not what you’re seeing, but it is water related. Thanks for sharing, Marie! I, too, would love to know if anyone else is seeing double.